Kathryn Norcutt has been an active member of the health care community for over 20 years. During her time as a nurse, she has helped people from all walks of life and ages. Now, Kathryn leads a much less hectic life and devotes most of her free time to writing for RN Network, a site specializing in travel nurse jobs. There are a lot of sacrifices one has to make in order to be a traveling nurse. And I would certainly qualify here. I’ve sacrificed time with my husband and my kids as well as my aging parents in order to travel around the US and help out short-staffed hospitals. Traveling nurses sacrifice everything from sleep, to time with friends and loved ones, and unfortunately (in my case) even their waistlines in order to do their jobs. But in the end; most of us wouldn’t trade a single day (or extra pound!) for the experiences and life we’ve chosen. 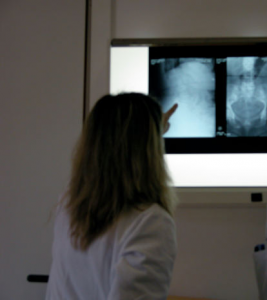 For all the drawbacks of being a traveling nurse, there are advantages that are developed in our line of work that other nurses will never have. And for those who might be curious to know of the traveling nurse life, here are a few of those ‘life’ lessons that other traveling nurses and myself have picked up throughout the years. Pack light: As anyone who has spent any amount of time traveling knows, it’s important to pack light and efficiently. For those of us who make our living on the road we’ve developed a certain knack for streamlining those little extra burdens that just add bulk and clutter. Don’t forget it’s cheaper to just ship your stuff to your new address rather than lugging it on the plane with you. Of course, a lot depends on the length of your assignment as well. And for those creature comforts that you can’t live without (for me, it was my piano) just have a friend/family member drive a moving van or truck and meet you at your new temporary residence. Get lots of sleep: According to the national Bureau of Labor Statistics, overexertion and exhaustion are the number one causes of nursing related injuries in the US. Nurses are 140% more likely to miss work due to overexertion and exhaustion than ANY other profession. Sleep is not only good for your body, but for your job security as well. And with your new assignment, co-workers and environment to adapt to, you’ll need to be in tip-top shape. Regional Assessments: As a traveling nurse, you will be expected to fit in quickly and adapt to the region you’ve been assigned to. For example, in Alaska, you may be overwhelmed at first with the number of frostbite cases or moose attacks to deal with which might be a far cry from the venomous snake bites and heat stroke that you had to deal with in Florida, but that is the beauty of traveling nursing. With every assignment, you’ll need to adapt to the local elements, i.e. earthquake preparedness in the Bay Area, tornado drills in the mid-west and don’t forget about those seasonal storms along the Gulf Coast. But as a traveling nurse, you’re ready for anything that comes your way. Increased computer skills: As much as computers have revolutionized the way we do business, they can also be a huge obstacle when you are unfamiliar with a new system. Be patient. Learn how other hospitals and health networks operate their electronic records and take the best practices back with you. 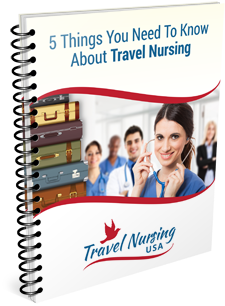 Enjoy the sights and sounds of America: One of the best benefits of being a traveling nurse is traveling. Let’s face it, America is a beautiful country with many exciting things to see and do. Take advantage of all of the sights and sounds that your current city of residence has to offer and learn as much as possible about your new community, before you get there. Traveling can be lonely at times, but can be easily remedied if you get yourself out and explore your new location. The trick is to think like a local. Look into some clubs or organizations with like-minded individuals. Talk with your new co-workers (or patients). Trust me; they’ll have all kinds of thoughts and ideas about where to go and what to do. Life is a journey, so grab it by the horns and get going! Always be Teachable: It may be a bit repetitive, but getting trained on techniques and procedures from a wide variety of professionals can really benefit your overall experiences (and that ever-growing resume). You can then take that experience back to your home hospital and pass your wisdom along to your fellow staff members. Find Yourself: One valuable lesson I’ve learned is who I am as a person. I’ve discovered I’m highly adaptable, creative and work well under pressure. I’ve developed a wide-range of unique trades and talents as well as becoming far more outgoing than I ever was as a young person. I’ve grown in my insights as well as tolerance, compassion and acceptance. These are the true benefits from my life as a traveling nurse.